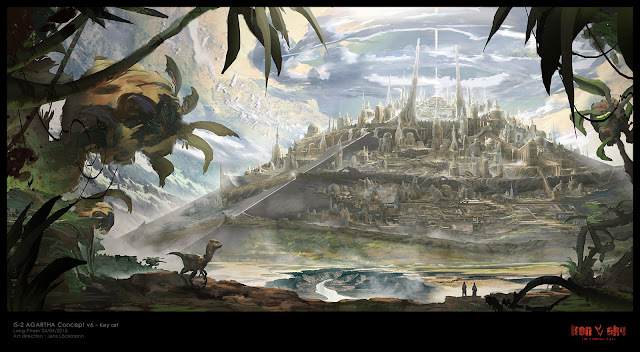 I worked on the new Iron Sky as a freelancer, this is very early preproduction artwork for the movie. I had the task of visualizing the city of Agartha, located inside the hollow earth. Wonderful! :D I can´t wait to see the movie!